I just love this thread bag. It holds my Mettler, YLI and small Auriful threads for hand applique. Each pocket has a strip of ultra suede and a zipper across the top. To use...open the zipper and place spools of thread across the row. Before closing the zipper...thread a strand of thread from a spool and then take the needle through the ultra suede. Do this with each spool in the row before closing the zipper. Now when you hand applqiue you can place the bag beside you and simply pull on the tail of thread that is outside of the pocket. This bag keeps me organized which allows me to get a lot more applique completed. All of the bags are designed the same on the inside but there are different fabrics on the outside. Choose the fabric you like the best from the list below. 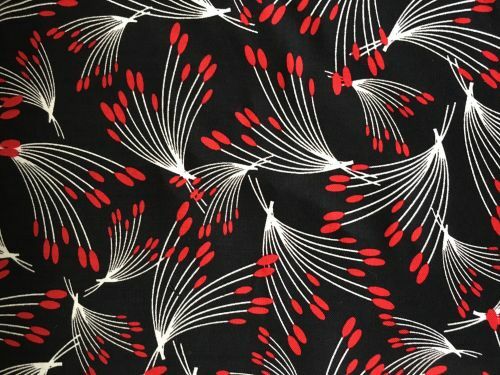 This fabric is set on a black background. It has white lines with red tips. The retail price is $35.00. 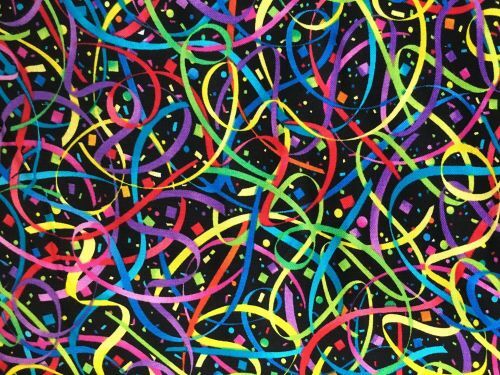 This fabric is a fun rainbow of colors looking like confetti and curling ribbons on a black background. This fabric is set on a white background. 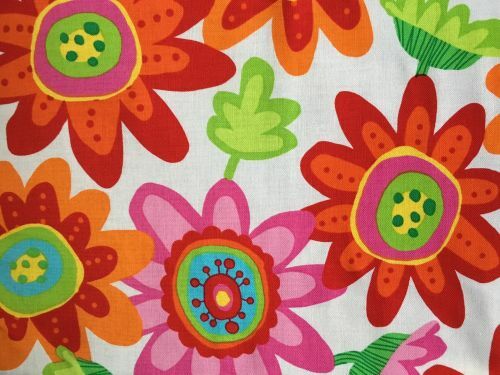 It has bright, bold flowers in red, orange, pink and lime green with some lime green leaves. 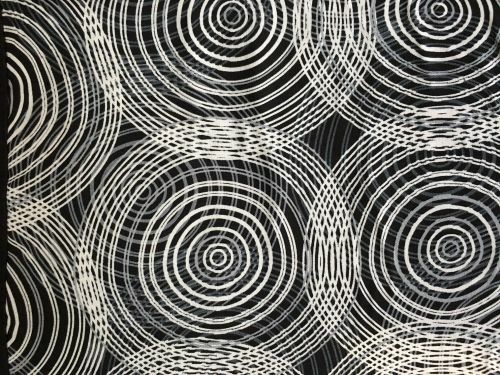 This fabric has a geometric look to it in black with white and gray circles. This fabric has a light gray background. 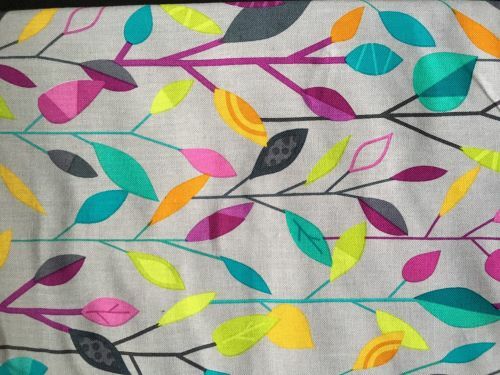 It has leaves in different sizes in using colors like teal, dark gray, orange and lemon yellow. 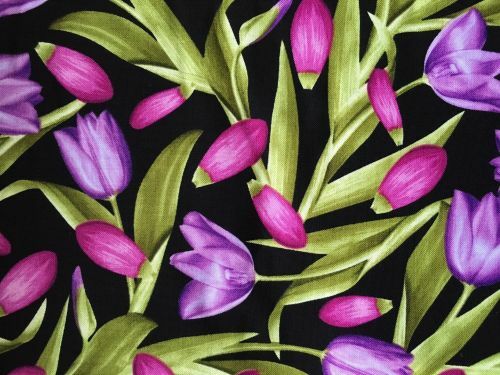 This fabric is on a black background with purple tulips and green leaves. 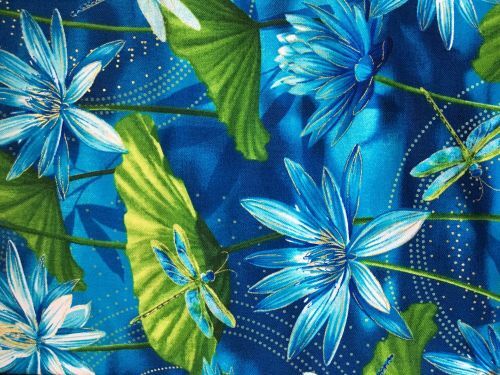 This fabric is on a blue background with flowers, leaves and dragonflies in blues, white and lime green along with some gold accents. Many of you have been asking us to fill one of our Perfect Thread Bags with threads and offer them on our website. Well, here it is. You can purchase this wonderful bag filled with Mettler 60/2 threads. The bag includes color packages #1, #2, #3, #7, #8, #10, #15, #16, #20 and #24. The retail price is $220.00 We are offering this at a discounted price of $190.00. Many of you have been asking us to fill one of our Perfect Thread Bags with threads and offer them on our website. Well, here it is. You can purchase this wonderful bag filled with Mettler 60/2 threads. This bag #2 includes color packages #26, #27 #29, #31, #32, #34, #35, #36, #37, and #38.